Editors Note: There are photos associated with this release. Roxio today announced the availability of Toast® DVD on the Mac App Store. Toast® DVD makes it simple to burn standard and high definition video discs and burn HD content on standard DVDs, complete with menus that can be enjoyed on your home entertainment system or Mac. Roxio Toast DVD is available for $19.99 from the Mac App Store, with an introductory price of $14.99 through May 31, 2014. 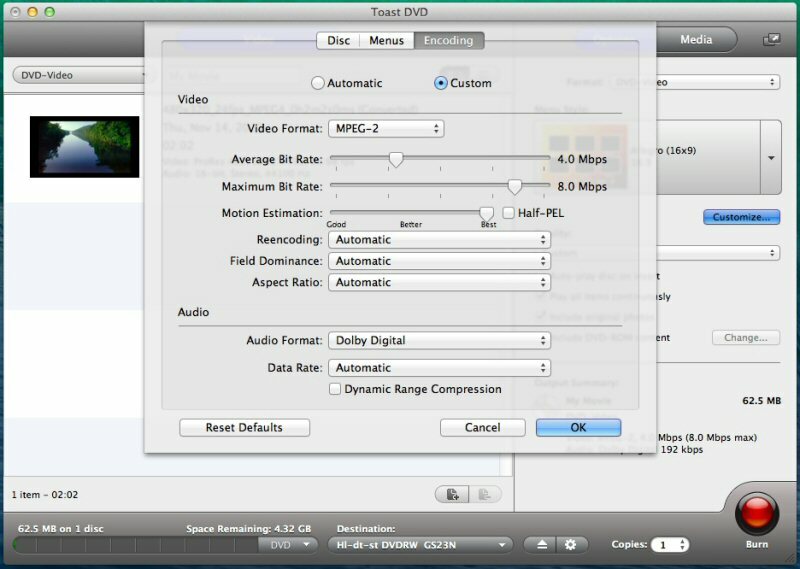 Toast DVD is the perfect complement to video editing apps like iMovie, making it simple to burn discs of the movies you create on your Mac. Earlier this year, Roxio also launched the Toast Burn app on the Mac App Store, making it simple to burn Mac files to a disc. "The full Roxio Toast suite makes working with digital media on a Mac fast and simple. By making the Toast DVD app available on the Mac App Store, we're able to bring a favorite feature to Mac users at the click of a button. Delivering these apps on the Mac App Store gives you the ability to choose exactly which Toast capabilities you need for your workflow, so expect to see more apps from us coming soon," said Michel Yavercovski, Director of Product Management at Roxio. Toast DVD and Toast Burn apps are based on technology from the award-winning Roxio Toast software suite. For more information about Roxio Toast, please visit www.roxio.com. Roxio Toast DVD is available on the Mac App Store for $19.99, with an introductory price of $14.99 through May 31, 2014. For local pricing, please visit https://itunes.apple.com/us/app/toast-dvd/id829469267?mt=12. ©2014 Corel Corporation. All rights reserved. Corel, Roxio, the Roxio logo, Game Capture, Roxio Creator, and Toast are trademarks or registered trademarks of Corel Corporation and/or its subsidiaries. All other names and any registered and unregistered trademarks mentioned are used for identification purposes only and remain the exclusive property of their respective owners. Patents: www.corel.com/patent. To view the first photo associated with this release, please visit the following link: http://www.marketwire.com/library/20140410-Roxio2L.jpg. To view the second photo associated with this release, please visit the following link: http://www.marketwire.com/library/20140410-Roxio1L.jpg. To view the third photo associated with this release, please visit the following link: http://www.marketwire.com/library/20140410-Roxio3L.jpg.